The Baltimore Tattoo Museum opened their doors nearly 20 years ago in 1999. 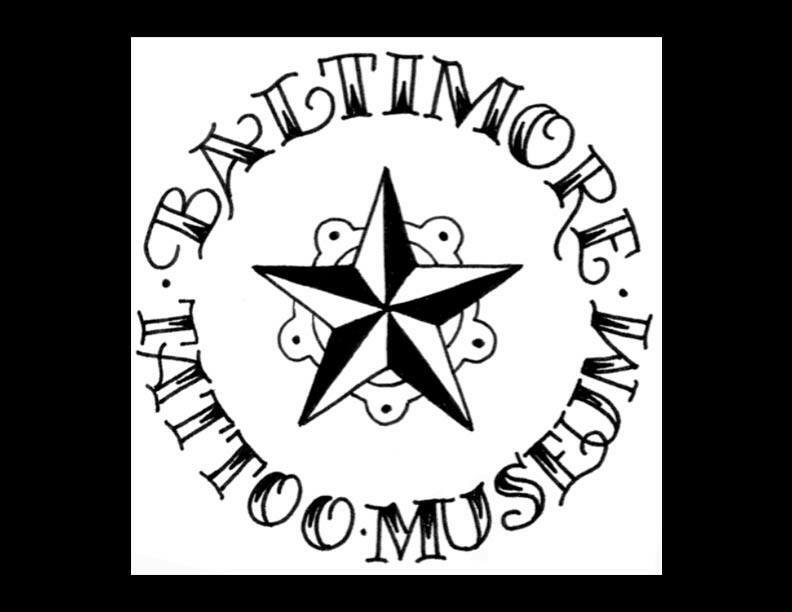 Located in the Fells Point neighborhood of Baltimore, Maryland, the Baltimore Tattoo Museum is a traditional, fully-functional tattoo shop. However, the space also includes exploration into the history, artistry, and artifacts of modern electric tattooing. The artist collective of Chris Keaton, Adam Jeffrey, Chris Smith, Dave Cise, Tory Destromp, and Elvis Aaron in the shop boast a wild array of varying styles of tattoo work, from traditional styles of old, to portraits or caricature, and on to more modern designs and custom work. The walls, books, and display racks hold vast artwork collections of tattoo imagery, machines, tools, and historical archives on tattooing. Piercings, somewhat unique jewelry, and shop-specific merchandise are also available. The information and merchandise can change with the seasons, but they do welcome walk in customers and browsers to chat and ask questions. It’s an interesting place and the staff and artists do much amazing work to assist their local community of artists and musicians. If you’re ever ambitious enough to browse their galleries of photos (as I did to find some of what you see here), you may come across an illustrated poster or two for bands like Freedom Hawk… an alumni performer of The Maryland Doom Fest 2017! That was a tease, since I didn’t include it here, but if you peruse the Baltimore Tattoo Museum’s Facebook photos of amazing artworks, you’ll find it. The wide variety of tattoo work they’ve done and share in their photos is phenomenal and worth the time to look. Now, I did mention at the beginning that this was special and it was with good reason. The artists collective of Museum staff named above once included a gentlemen quite important to the Baltimore music community and The Maryland Doom Festival. Reverend Jim Forrester was his name. Jim was unfortunately and very senselessly murdered, while outside on a break at his work as a professional piercer at the Museum last December of 2017. Jim was a highly-regarded Maryland-area musician, as well as a husband, brother, son, and human. ‘The Rev‘ was on staff with The Maryland Doom Fest for years. He was also my friend. To be honest, this part of the article has been rather difficult to write coherently and should have been completed much earlier. Jim was a wonderful person who welcomed me into a tribe of amazing people. I’ll be forever grateful to have known him. Jim is sorely missed by all who knew him, and his colleagues at the Baltimore Tattoo Museum have kept his memory alive through their support of benefit events to assist Jim’s family, as well as community involvement to support and try to help make their neighborhood a safer place. They are a primary sponsor for The Maryland Doom Festival this year in Jim’s honor. “I would just like to say that Rev Jim was a special dude. Always smiling and very charismatic. When the discussion about possibly having an emcee to individually announce all of the MD Doom Fest bands each year, Jim was the very first person that came to mind. Rightfully so, because he was the perfect fit. “In addition to being a great friend to so many people both in and out of the local music scene, Jim was a steadfast supporter, as well as an essential member of both The Maryland Doom Fest and The Baltimore Tattoo Museum teams. To honor him and his many contributions in everything he was a part of, we asked our friends at The Baltimore Tattoo Museum to team up with us this time around in helping us to make this year’s festival the best one yet. Maryland Doom Fest 2018 happens in two weeks, so check out the lineup below and go by your tickets! The headliners include legends The Obsessed and Weedeater, as well as Windhand.